We’ve been committed to couples for decades, providing event planning services for Hollywood weddings at The Garland since 1972. But don’t take our word for it. Get the real deal from real couples who celebrated their own special days at The Garland. "The Garland did exceptionally fantastic. They went beyond what my husband and I expected. I loved every detail they added from the AMAZING food, great customer service, beautiful venue, it was clean and the staff were all professional. Judith Swingler was superb. She's the best. 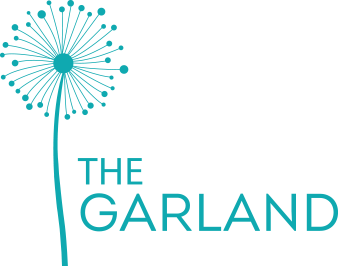 Thank you to The Garland staff, you were all great and made our day that much more memorable." "On September 20th, 2014, my partner and I were married at The Garland. When we actually booked the hotel as our wedding venue, they were going through a transition and had construction being done. The final out come was an urban, modern and slightly rustic setting that was perfect for what we were looking for. Judith, our event coordinator, and her staff was extremely helpful during the entire planning process. The flow of the wedding was perfect! Their new ceremony site is beautiful and their ball room is gorgeous. Our guests were raving about the food! This place is now special to my heart and highly recommend this place for huge events, vacations or just to visit the restaurant!" "I was very impressed with everything about The Garland. From their friendly staff to their continued responsiveness regarding details for my wedding, they made everything so easy for me. Their venue is clean, very nice, and provides great service. Everyone was also very impressed with the food. They are truly a hidden gem in the San Fernando Valley. They are affordable and flexible to your needs. I highly recommend this venue for weddings."